Who had the biggest comeback of 2018? The question has been asked a few times since we rang in the new year. Most people believe that Tyga returned to the game with the most force, dropping off a decent number of hits. Soulja Boy begs to differ though, going on a couple of viral rants to prove that he is the rightful owner of the coveted title. Tory Lanez isn't here for the banter, though. The Toronto artist has been involved in a few high profile battles with Joyner Lucas and Don Q in the last few months and he thinks he's made the biggest comeback. More specifically, Tory believes his hairline holds the title. 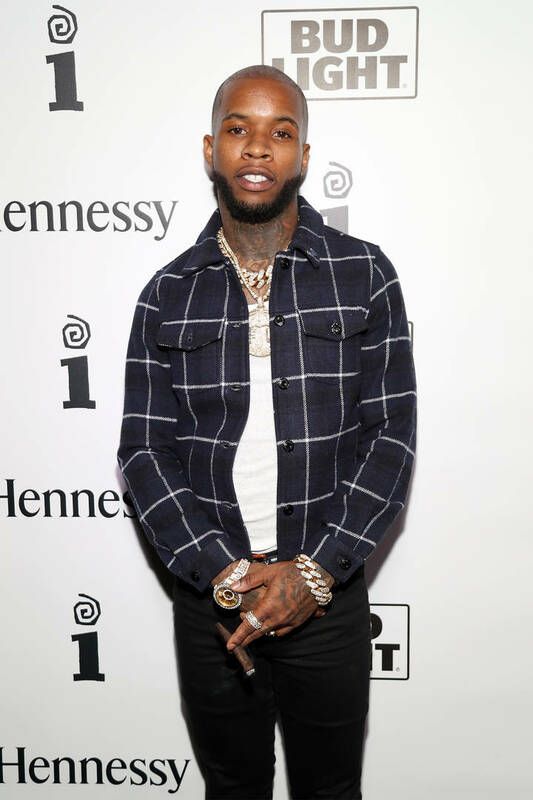 The competition between Tyga and Soulja Boy appears to have slowed down but Tory Lanez wanted to give his two cents on the matter, admitting that his hairline should be in the running for the biggest comeback of last year. "At the end of the day ... I don’t know about Soulja or Tyga," wrote Tory. "But my HAIRLINE most def made the BIGGEST come back of 2018. And that’s factual." The rapper has gotten clowned over the years for his receding hairline, which he has admitted that he got fixed. Tory is pretty proud of the work his cosmetic surgeon did too, telling the world that he thinks he wins against both T-Raw and Draco.